Video Poker hasn’t lost any of its popularity since being introduced in mid ‘70s as the game still occupies the centre stage of many a land-based casino. 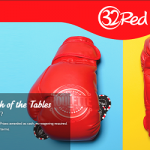 As it was expected, its online version became an instant success among the online gamblers, with the really small house edge giving the players a decent chance of winning. 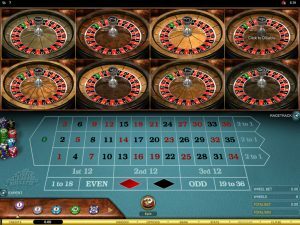 By following a simple set of rules you should be able to neutralize the house edge and start making profit, so here are the best online video poker strategy tips. With casinos constantly introducing new versions of video poker, you could be tempted into trying one of those, but our advice is to stick to Jacks or Better as this one will give you the best chances of winning. Bear in mind that you should only play on the full pay machine, i.e. the one with 9/6 full house to flush ratio. This means that full house payout is nine time bigger than that for one pair, whereas flush pays six times the payout for one pair. 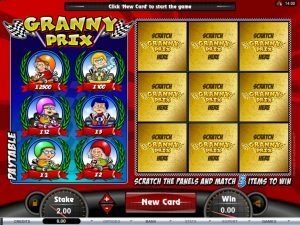 This kind of a machine gives an unbelievable return of 99.54%, which is better than any other casino game. Even after learning a solid video poker strategy we don’t recommend to start playing for real money immediately since you will need time to put your knowledge to a good use. Almost all casino sites now offer free play, meaning you will be able to practice your skills completely free of charge and see for yourself if the strategy is producing results. Only after you have had enough practice, you should start playing for real money. 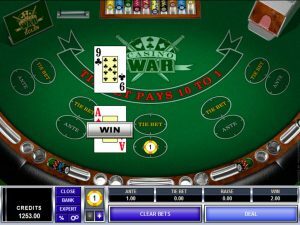 Unlike in other popular versions of poker, such as Texas Hold’em, Ace is not the most important card in video poker and this is a very important rule to follow. A huge number of online gamblers don’t know this and the odds are it will cost them dearly at some stage. Since you will not be competing against other players, an Ace will not be worth more than Jack, Queen or King, but it will decrease your chances of hitting a straight. When you have three high cards in the hand, always lose the Ace. One of the best online video poker tips is to keep the hand that pays, but there are certain exceptions to this rule. With flush paying 6/1 and not that hard to get, it is definitely one of the most desirable hands in video poker. However, the players should not break a flush in order to draw for straight flush as it pays 50/1 and is very difficult to achieve, but they should break the flush to draw for royal flush as the best hand in poker pays no less than 250 to 1. As you already know, only pairs involving Jacks or better are subject to a payout, which is why the players tend to hold an additional high card when they have one of the low pairs, hoping that they would hit a high pair. This is by no means a good video poker strategy tip because keeping a kicker with a pair decreases your chances by 5%. Just as players always draw for flush when holding four cards of the same suite, they tend to do the same when waiting one card for a straight, but that is hardly the best online video poker strategy. With straight paying just 4 to 1, you should never draw one card for straight if you are waiting for one of the middle cards, but should only do so when hoping for an open ended straight, meaning that one of two cards will see you succeed. Players usually have problems deciding which cards to keep when they have three or four high cards, but that is not such a big deal as you only need to keep suited cards, in order to have a chance for a flush. Also, when holding a low pair, do keep it and wait for a three of a kind instead of breaking it to hold a high card. For more info, visit our section for top rated casinos for online Video Poker machines.